Last week we published our first tip for ensuring your glamping business stands out from the crowd. Read Tip 1. ‘Take Advantage of your Location’ in our last blog post. This week’s tip focusses on the little additions to your accommodation that will draw as many holiday-goers as possible. Find a list of suppliers at the bottom who we have been impressed with. Tip 2. Be exclusive with simple luxury additions. In the growing competitive glampsite market your accommodation must be top notch. Offering that little something extra may just be what grabs your potential customer’s eye. Small nuggets of luxury can really make a difference to your rental potential: why not install mini wood burners, outdoor fire pits or cool pizza ovens to provide an experience that really gives people the outdoor living experience? 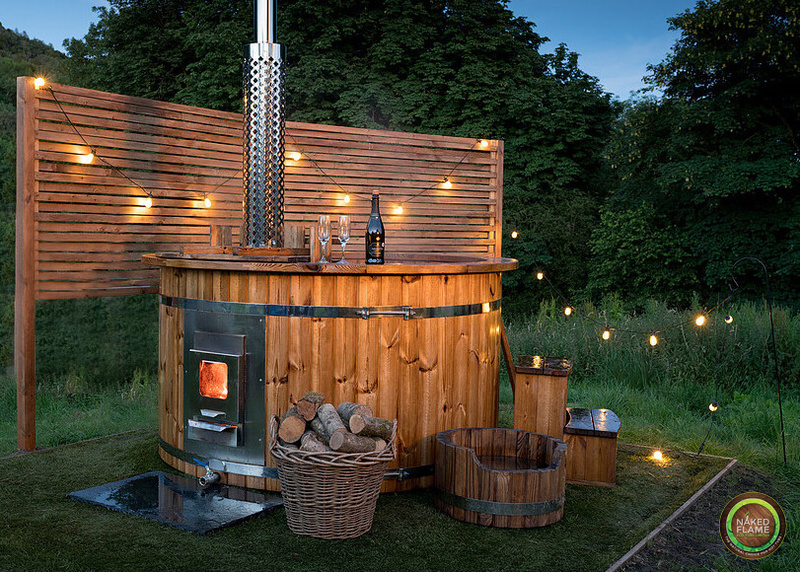 The ever-popular Hot tubs also make a great glampsite addition, appealing to both summer and winter holiday-goers; they maximise earning potential and help you to stand out. Providing ensuite shower rooms and kitchenettes in your glamping pods also boosts your target market considerably: private facilities are a luxury that allows you to cater for a demographic who would not have considered camping without them! The rental potential for glampsites that offer these additional luxuries would astonish you: a glamping unit in North Yorkshire which offers an ensuite shower room, kitchenette, fire pit, wood burner and hot tub charges £150 per night, which is considerably more than your average hotel room with breakfast! Of course, you don’t have to have every additional luxury to still be attractive, but considering the two or three that would work best in your glampsite will certainly increase your profits. In Buckinghamshire, a glamping unit charges £120 per night with just an en suite shower room and kitchenette – the beautiful setting does the rest of the work! Naked Flame Eco-tubs – Scandinavian wood-fired hot tubs and saunas www.nakedtubs.com 5% DISCOUNT for MOSS Customers! Next week’s blog will reveal Tip 3 – Consider renting rather than buying glamping pods – Free up capital at the beginning of your venture for all the little extras needed, rather than forking out for the accommodation now.